The following is a summary of the medical issues currently confronting Mumia Abu-Jamal, now a prisoner at SCI Mahanoy in Pennsylvania. A detailed presentation of his issues is contained in the papers filed in the United States District Court for the Middle District of Pennsylvania in the case of Abu-Jamal v. Kerestes and will be made available upon request. 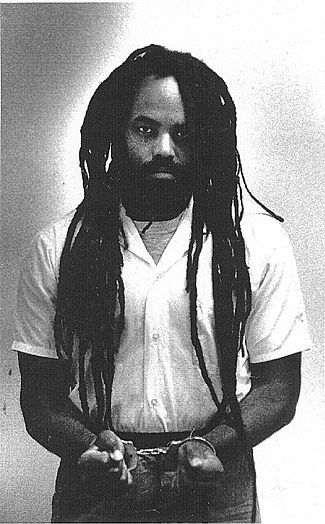 Mumia Abu Jamal is suffering from “active” hepatitis C, a serious liver disease. Tests performed over the last several months show that Mr. Abu-Jamal’s liver likely has “significant fibrosis” (scarring) and deteriorated function. The disease has also manifested itself in other ways. He has a persistent, painful skin rash over most of his body. Our consulting physician, who visited Mr. Abu-Jamal has concluded that it is likely a disease known as necrolytic acral erythma, a condition that is almost always associated with an untreated hepatitis C infection. Mr. Abu-Jamal has been diagnosed with “anemia of chronic disease”, another common consequence of hepatitis C. He has sudden-onset adult diabetes, a complication that led to an episode of diabetic shock on March 30, 2015. Most recently, he has begun to lose weight again. Mr. Abu Jamal’s hepatitis C can be cured – and the painful and dangerous consequences alleviated– if the Pennsylvania Department of Corrections (DOC) would administer the direct acting anti-viral medication that has now become the standard for treatment for hepatitis C infections. According to the American Association for the Study of Liver Disease (AASLD), this hepatitis C treatment “results in sustained virologic response (SVR) which is tantamount to virologic cure”. The AASLD protocol has been adopted by the United States Bureau of Prisons. The DOC has known of Mr. Abu-Jamal’s hepatitis C infection since 2012- but never conducted a complete hepatitis C workup until recently. His skin condition, which had been intermittent for several years, worsened and became constant in August 2014. His health had deteriorated to such an extent that he was admitted to the hospital in May 2015. Over those eight days numerous tests were conducted that ruled out many conditions, including some cancers. Those tests led the doctors to conclude that the symptoms were likely caused by the hepatitis C. In June 2015, after Mr. Abu-Jamal’s release from the hospital, his attorneys demanded that a complete hepatitis C workup be conducted and treatment administered. But it took several weeks for those simple blood tests to be taken. They concluded that Mr. Abu-Jamal does, in fact, have an active hepatitis C infection. Notwithstanding that determination, and Mr. Abu-Jamal’s continued suffering and deteriorated health, he has not been given the anti-viral drugs. A motion for an injunction seeking treatment is pending in federal court. However, the treatment, as our medical expert has stated, should begin “immediately”. Given the overwhelming and undisputed evidence that Mr. Abu-Jamal is suffering from an active infection, treatment should not await a determination by the court. It must begin now.